"You have ICE agents picking up mothers and fathers and children in their own neighborhoods. 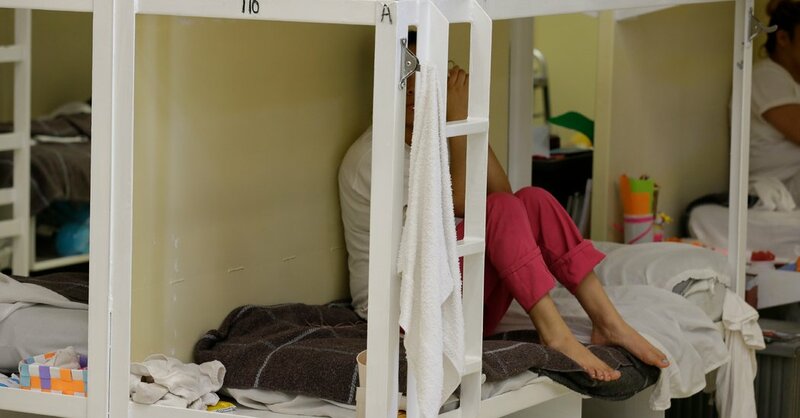 That's why the beds issue is so much more important than the wall, "said Ms. Roybal-Allard, whose Los Angeles-area district is 85 percent Hispanic, the highest percentage of any district in the country.
] If ICE does not have enough room to place individuals and family members they detain, they must loosen their enforcement actions, creating a powerful motive for new migrants to enter the country illegally, Trump administration officials say. "You can not have border security, without strong interior enforcement, whether there is a wall there or not, "said Matt Albence, the deputy director of ICE, on Monday in a conference ca ll with reporters. "This is a poison pill that no administration, not this one, not the previous one, should ever accept," Mr. McConnell said on the Senate floor. "Imagine the absurdity of this: House Democrats want to set a limit on how many foreign aliens our government can detain."